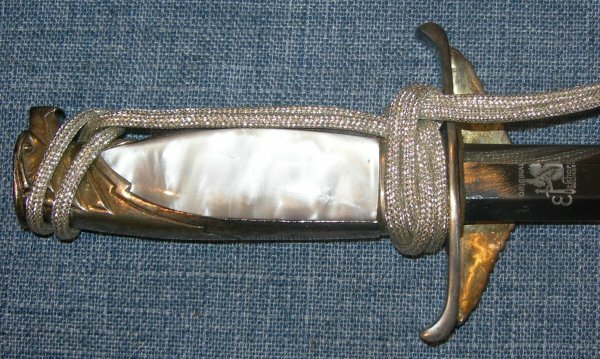 In very good condition, a rare Carl Eickhorn Solingen made WW2 German government official's dagger. 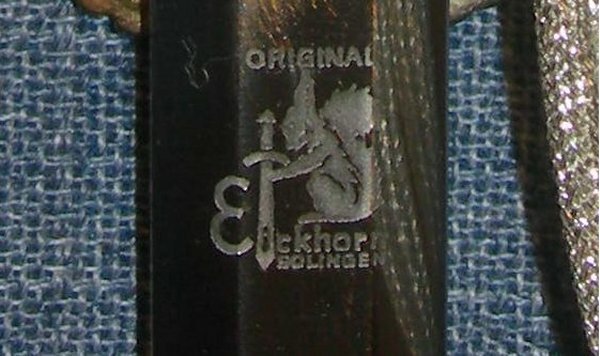 In very good , the 25.8 cm blade with "Carl Eickhorn Solingen" and squirrel holding sword trademark is near mint. Everything very, good. The sheath somewhat aged; should clean up better if required. The mother of pearl type grips have not yet really shown any oranging (a pleasant discoloration through aging). Some marking and one small hairline crack to one of the grip pieces. Sheathes and draws well. 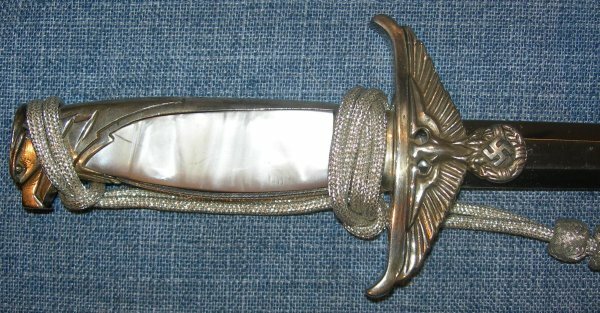 And yes, I 100% guarantee this dagger is authentic. These daggers sell for a lot more in the USA. This is is an above average example to be sure. Full sized / additional photos available upon request. Item reference number is A93 (469).